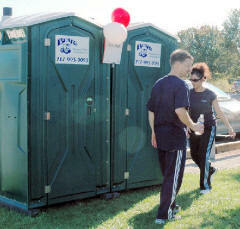 The usage for portable toilets can be grouped into four main categories. Bear's Portable Toilets offers benefits to our customers in each of these areas. Symbolizes a quality-managed event, which promotes goodwill and a positive public image. Improves retail customer satisfaction and keeps them on-site longer. Therefore, they spend more money.